Learn the best winter Pomeranian care practices. If you live somewhere that has very cold weather at times, you must learn how best to protect your Pom dog against the harsh climate. The Winter weather can bring icy cold temperatures, snow and icy rain and the air is often much drier. 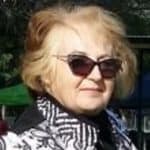 Pomeranian paws, skin and coat can be adversely affected, he may have difficulty controlling his body temperature and he may have other issues as well. 6 Venturing outside with your Pomeranian during Winter. 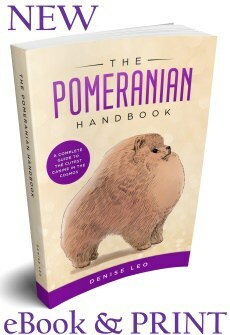 Winter is the season where your Pomeranian really needs extra care. Regardless of whether it’s snowing, the air is still at its driest during this season. Moisture in the air is known as the humidity factor. When the weather is cold, it’s difficult for the air to retain any moisture. Even inside your home, don’t believe that’s ideal because cold air meets with warm air and dries it out even further. Therefore, your pom can’t avoid damage the season’s harsh elements can cause unless you help. 1. His skin may become chapped and very dry. If so, you’ll notice he scratches more than normal and he may have irritated, red skin (hotspots). These symptoms warn you that his coat will soon become thinner. 2. Your beloved pet’s coat will have lots of static and the result of this is split ends that, if not properly trimmed back, can travel up to the root. Hair loss will happen and his fur will thin out as well. 3. You may notice your Pomeranian’s nose looses pigmentation i.e. becomes brown instead of black during the winter months. This is called ‘winter nose” and is caused by a lack of sunshine. Ensure your Pomeranian has access to sunshine for a short period daily if at all possible during the winter months. Winter nose could also indicate your Pom is lacking Vitamin D, which is critical for absorption of calcium. It’s smarter to take steps to protect your pet that to try and fix problems after the damage has happened. It’s vital that you use the best products and at the correct times. A good quality leave-in conditioner should be used all year round but it’s even more necessary in Winter. Spray his coat with plenty of the product so it coats his hairs and forms a protective shield to protect his fur from damage that Winter can cause. Your home will be less humid so don’t assume he doesn’t need the extra care just because he stays inside. Maintain your regular brushing routine so he doesn’t get tangles and dead hair is removed, both are elements that can impede the conditioner’s ability to do its job. Apply a liberal amount in the morning and a lighter coat before he goes to bed. A small pin brush is the best tool. It has to be textured so it spreads the conditioner without irritating your Pomeranian’s skin. Do the job in sections. Spray the conditioner so it’s near the roots but not directly on them. As you use the brush, stroke downwards to the roots. After you have finished, spray some in your hands and rub together and scrunch the coat tips for an extra layer of protection. Don’t use too much product or it makes his fur oily, weighs it down and can block air circulation to the pores of his skin. Just use a light mist. In the evening you do a light touching up to replace any lost during the daytime. It also helps because, as your Pom sleeps, his fur rubs on fabric and it may create static. 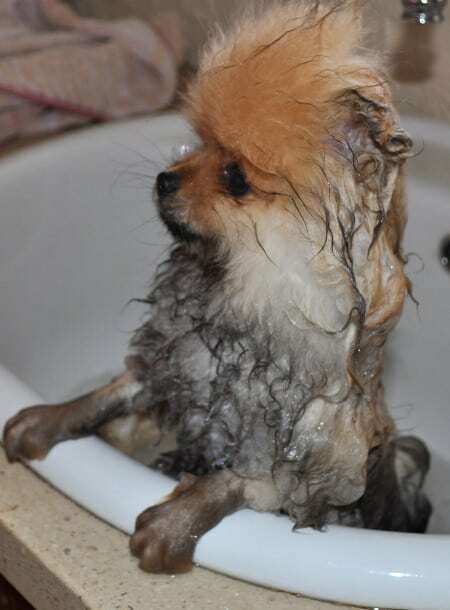 You should bathe your Pomeranian every three weeks. Provided that you use the correct products, you won’t have to worry about bathing too often drying out the skin. Use a good quality shampoo that moisturises your pet’s coat and eliminates all residue. Scrub him thoroughly and rinse well to avoid dry soapy particles irritating his skin, especially in Winter. Then you apply the moisturising conditioner for protection. 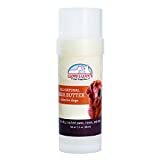 If your beloved pet’s skin is peeling and flaky, select a product specially made product for dry skin. You may need to wash him more often if the skin is flaky so this would mean a weekly bath. If your pet’s skin is dry, let it dry normally after a bath and don’t use a hair dryer. Plan his baths in advance so you don’t have to take him outside when his fur is damp as this can cause damage, especially in Winter. Use a good quality paw balm. 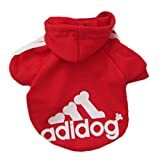 If your Pom still has trouble on the cold ground or finds it hard not to slip, put booties on him and see if that helps. Paws are made from skin and can easily dry out when he’s outside in the harsh climate. They can dry out more than his body skin. One major issue he may face is salt and chemicals that melt ice and are used on the ground in Winter. Even if you never use these products, local councils often do and cars travel on these surfaces and then into your local area, where the tyres leave residue on the roads and paths. Pomeranian paws can be damaged or burnt by the chemicals and your Pom’s nail pads may get hurt too. 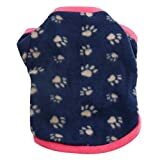 You may use booties when outside but it’s still essential to use paw wax on a weekly basis to help stop your Pom’s paws from cracking, drying out or being harmed in other ways. The wax can heal existing damage, stop cracking and moisturise at the same time. If your dog’s paws are so sore that he can’t walk properly or if there’s any deep cracks, bleeding or other issues, see your vet as a matter of urgency so he can help fix the problems and maybe stop an infection. 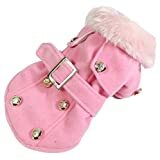 When choosing Pomeranian boots or Pomeranian shoes, they need to resistant to the weather, easy for your Pom to walk in and tough to handle whatever they’re used for. If they have the Velcro closures around the ankles, they’re a great choice. Winter can be harsh on your dog’s nose. Even before you suspect any problems, it may be crusty and cracked. Because he’s always licking his nose, the dry, cold wind can quickly cause it to chap. However, it’s easy to protect it. 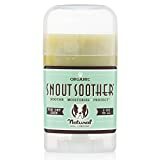 Use a good nose balm (or paw balm) or a nose chap stick. You only need to dab it three or four times to ensure it’s protected from the cold air. Put metal bowls filled with water on top of heaters or heat registers. Leave the bathroom door open while showering and after you finish. Get a big Ziploc bag and poke 20 holes in it. Then insert a big wet sponge and you can place it anywhere you want – on bench tops, cabinets, wherever appropriate. Set up 5-10 of them and spread them out through the house. Get some houseplants as they release moisture whenever you water them. Venturing outside with your Pomeranian during Winter. Naturally you can’t keep your Pom inside the house all Winter. He will need to go outside sometimes. He’ll need to go to the bathroom (unless you have him pee pad trained.) You should also try to maintain a regular schedule as much as you can. Dogs often eat less in the Summer and more in Winter. If you reduce exercise, his health could deteriorate. Exercising, particularly walking, is necessary because it keeps muscles and the heart healthy. That applies equally to you as well as your dog. If a dog can’t get exercise, he’s likely to get moody, bored and frustrated. If you both dress warmly, you can go for one or two walks a day (unless there’s impossible bad conditions outside). Dogs that fall into the toy breed category have more trouble maintaining their core body temperature than the bigger breeds. So it’s critical that your Pom is kept warm during the Winter months. Whenever it’s under 32F (also depending on wind chill factor), he should wear a thick warm jumper or Pomeranian Sweater. If it’s snowing, put him in a water-proof jacket. Some Pomeranians hate the snow and expect their path to be free of snow when you go for a walk. He’ll even bring you his booties before you get to put his leash on. However, other Poms love the snow more than anything else. If yours loves it, let him play while you watch him closely and only for 20 minutes because after that, even with protective clothing, he may get hypothermia. Some dogs are so excited when they can play in the snow that their bodies heat up rapidly, and then they have a sudden point when the coldness hits, hence why you must always supervise your beloved pet. Once he’s back in the house, use a soft, very absorbent towel and gently pat (not rub) him dry. Then you may want to put a t-shirt on him to help him warm up again. It’s normal for him to eat more in Winter and exercise less. You’ll strive to take him for walks daily but there will be some days where the weather is too harsh. Hence the slight weight gain. If there’s a large gain or loss in weight, talk to your vet. Your Pom may be more restless (cabin fever) as humans also can be at this time of year. Even if you’re content staying inside, your dog might be frustrated because he wants to get out and run and play and now he can’t burn off that extra energy. If you only do one walk but usually do two per day, he’ll feel the difference. Help your pet by playing with him and creating some fun activities for inside the house. Teach him new commands and new tricks or play old ones. Lay down a path of objects and you carry a basket and get him to pick up all objects and give them to you. Use an excited voice as that will make him wag his tail and have more fun. Play hide and seek. Give him an ice cube to chase around the kitchen floor with. They’re ideal for puppies who are teething and fun for all dogs, especially if they’re bored. 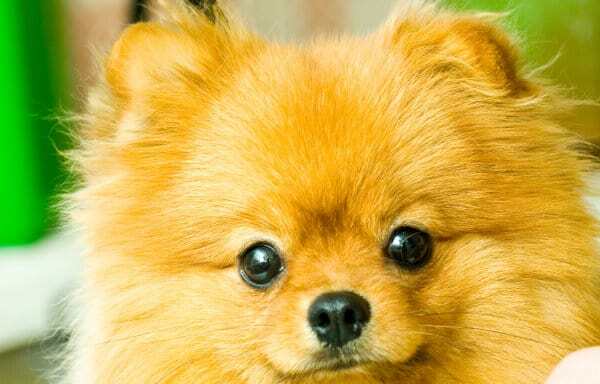 Some Pomeranians may feel like their routine is upset when the sunlight is minimal and there are less daylight hours. He’ll want to go to bed early. You can extend the day by doing some grooming after dark as it makes him feel like things still happen despite the sun disappearing. Older Poms may suffer from arthritis and the associated aches and pains. Reassess his bed to see if it needs to be changed to an orthopaedic bed to make him more comfortable. Talk to your vet if this is something to consider. How Much Water Should Your Pomeranian Drink Daily?